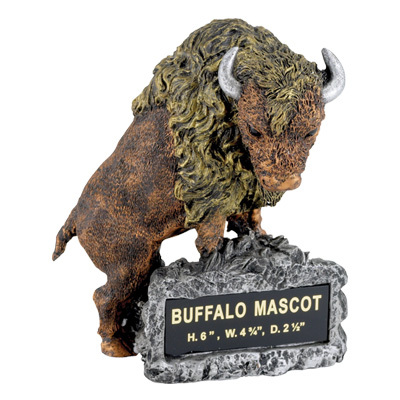 Solid resin buffaloes: Beautiful, detailed and fully customizable for your special recipients. Available in-store or order by phone. 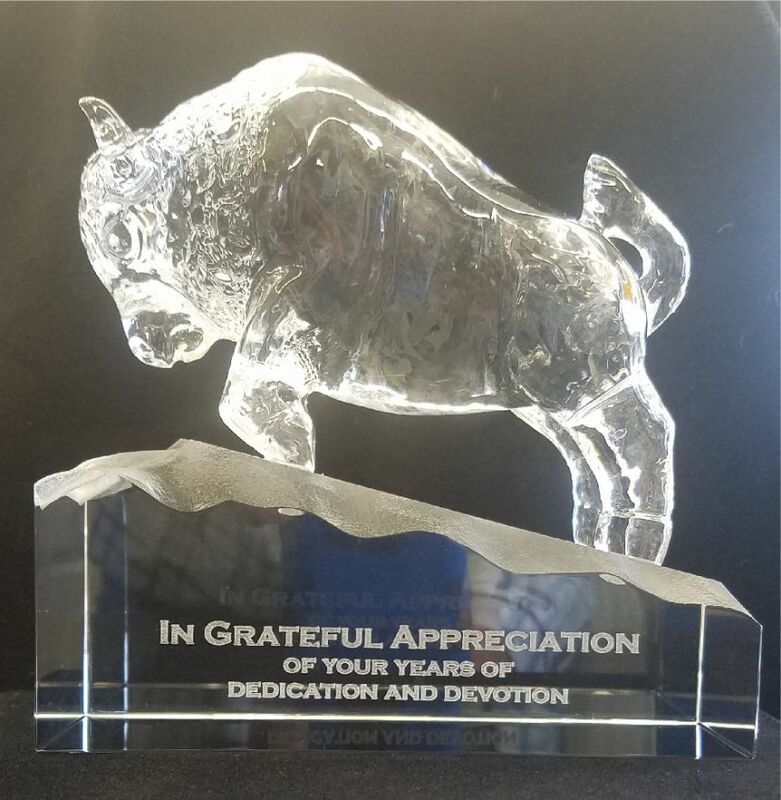 Each buffalo comes with an engraved plate on the base for your special occasion. There are many options for base plates and wood types. We quote each buffalo build to assure you get the size and style that fits your needs. We encourage phone calls or in-store visits for highly customized orders. 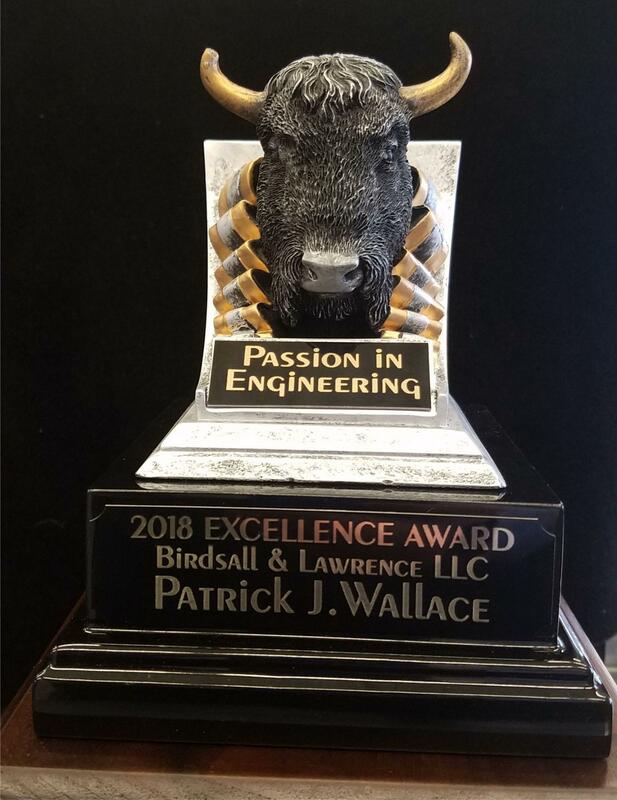 Below are a few stock buffaloes for your pleasure each of which can have additional based added to increase height and presence. 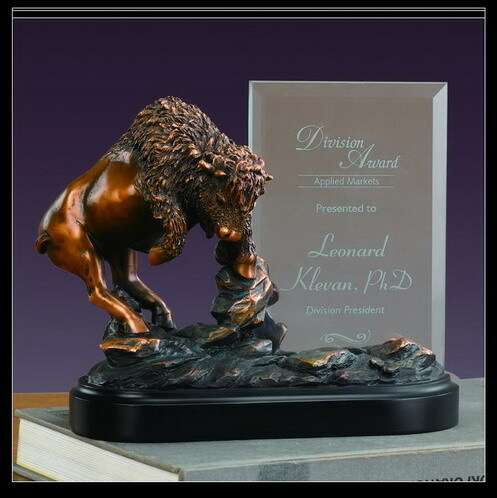 15" tall solid resin buffalo statue on resin base. Plate size approximately 4x1". 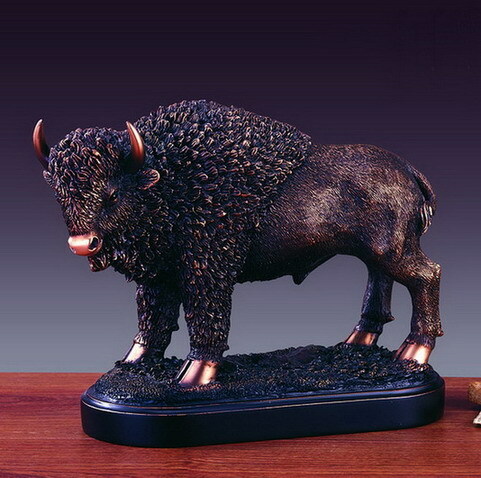 12" tall solid resin buffalo statue on resin base. Plate size approximately 6x3/4". 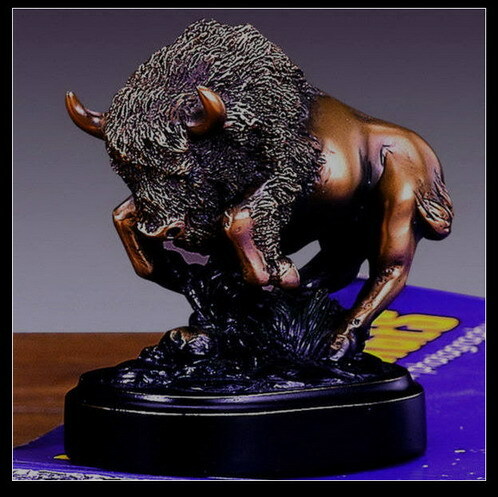 4" tall mini- olid resin buffalo statue on resin base. Plate size approximately 1/2x1.5". 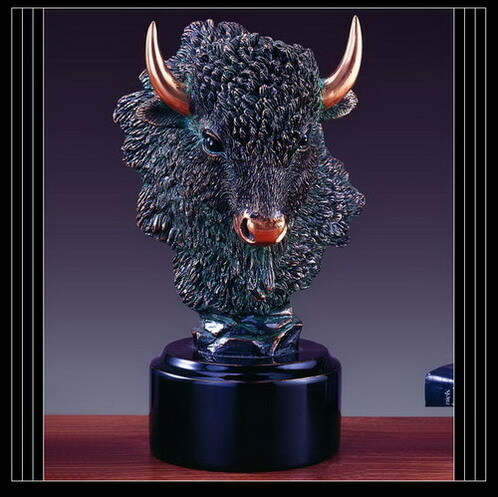 9" tall solid resin buffalo head on round resin base. Plate size approximately 1x3". 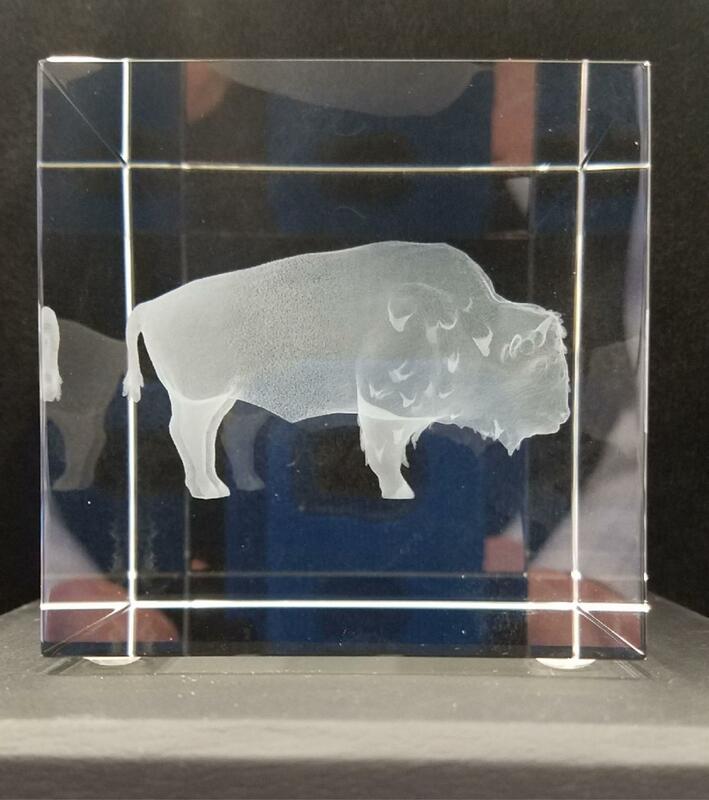 9" tall solid resin buffalo w/glass panel for engraving. Panel size 4x6". mounted on high quality gloss black base. Includes two name plates. Total height 6".